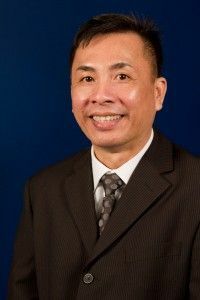 Vinh Nguyen is the English language learner (ELL) community outreach program supervisor for the Des Moines Public Schools. He was born and raised in Vietnam, since he moved to Iowa, Vinh has become community leader, a giftedstoryteller and cultural broker. He currently serves as president of the Vietnamese American Community in Iowa (VACI). Vinh loves to cook Vietnamese food and is always trying to either experiment or to learn how to cook other ethnic foods—especially from Southeast Asia. Pho is his most favorite dish, as it is the Vietnamese national food.